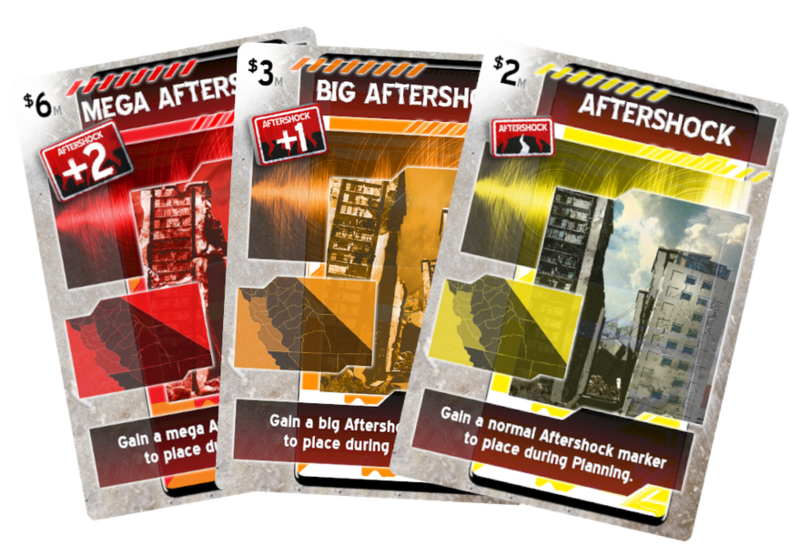 A brand new game by Ticket to Ride designer Alan R. Moon, "Aftershock" is coming to Kickstarter! The BIG ONE has hit San Francisco and has destroyed the area. It is time to rebuild, but beware of the AFTERSHOCK! The game is desgined by no other than Alan R. Moon (Ticket to Ride) and Bobby West, an up-and-comer in the business. The Kickstarter campaign launches the 29th of January. 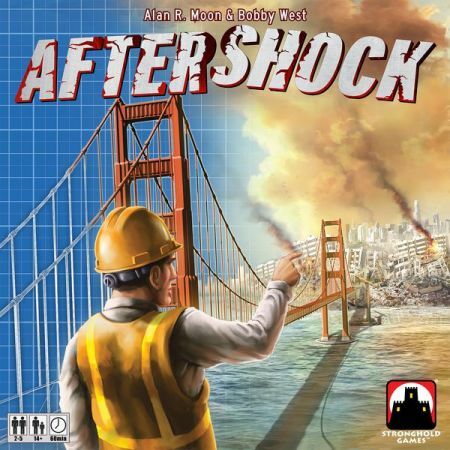 Aftershock is an area-control and resource management game for 2-5 players that plays in 60 minutes. 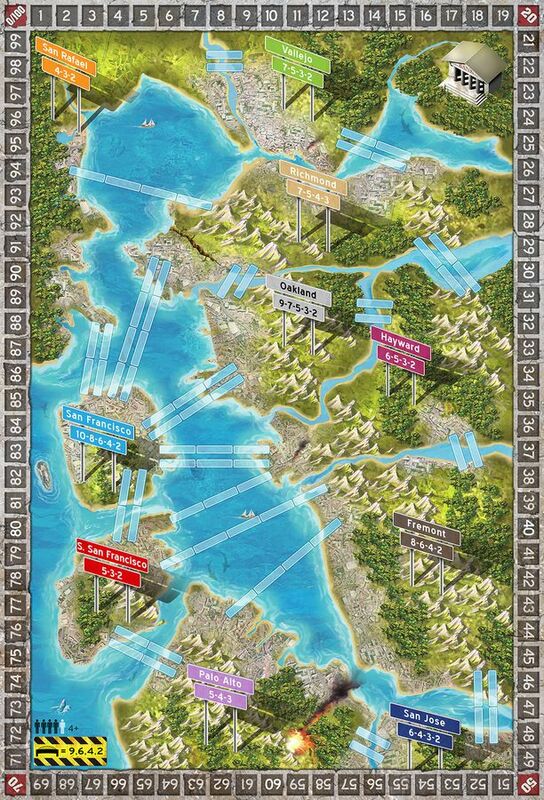 Players will spend money to acquire cards, which are used to increase population, build bridges, and determine where aftershocks occur. You will negotiate with other players in order to score areas. The player with the highest population in the scored areas will score the most points. The player with the most points at the end of the game wins!